As an artist, David has carried out a number of high profile public art projects across the UK, along with many artist-led projects and residencies. 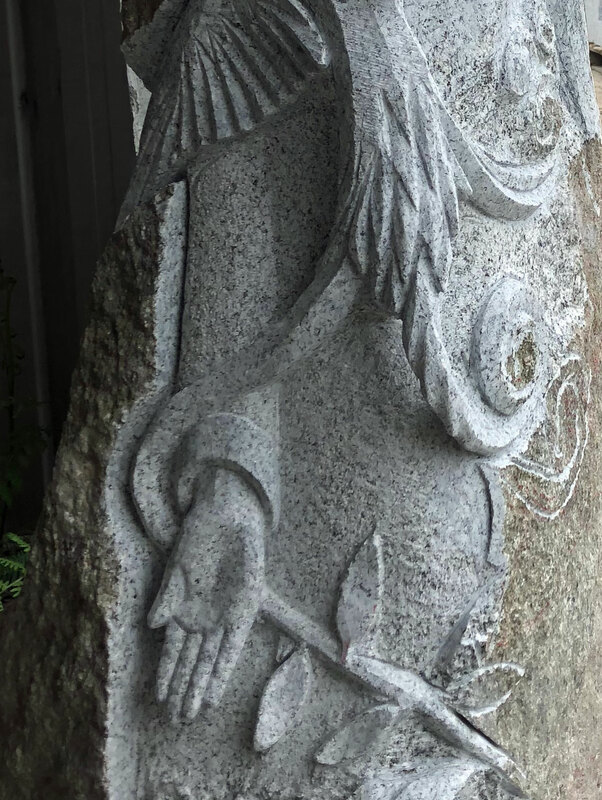 As a stone sculptor, he has worked on large-scale landscape and architectural schemes, as well as more intimate and individual pieces that quite often acknowledge the human or animal figure. 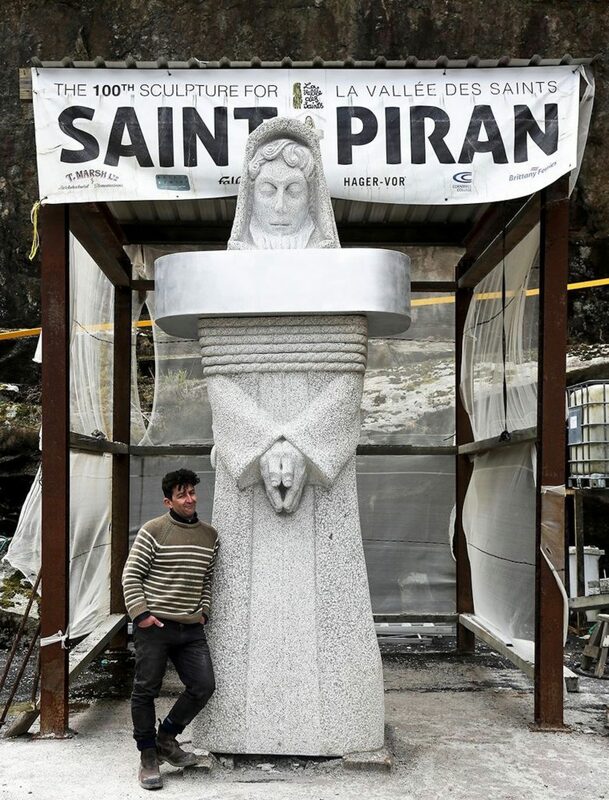 His most recent sculptural work was the four-metre tall figure of St Piran commissioned by the Valley of the Saints in Brittany. 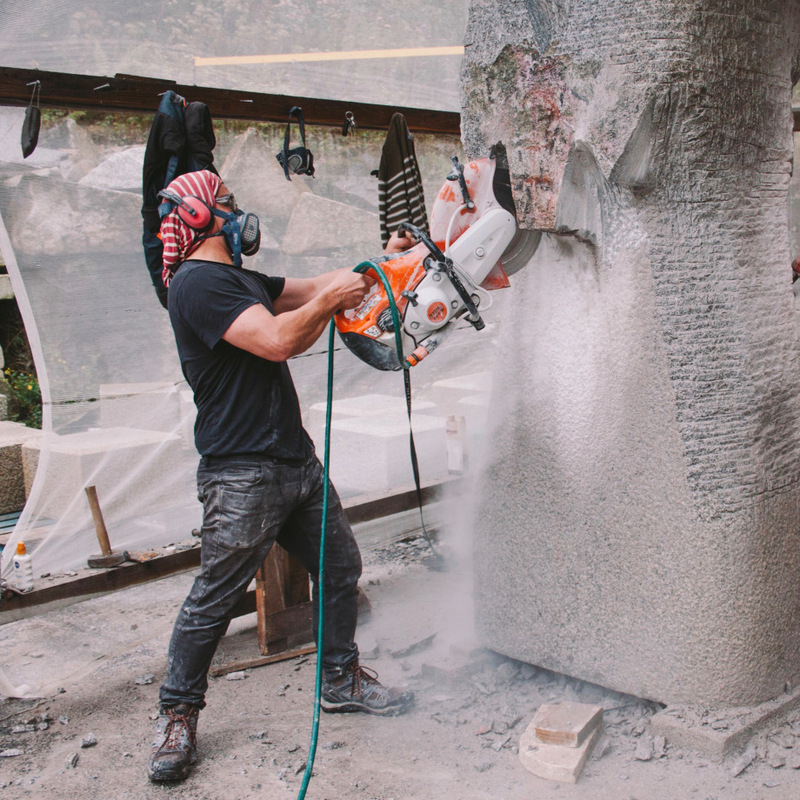 David is pursuing new figurative sculptural work, specifically in Cornish granite, that explores aspects of his personal history that have become entangled in the ancient cultural trajectory of Cornwall’s mythological and industrial narrative. He lives and works in Cornwall and has a workshop at Trenoweth Quarry near Penryn in Cornwall. Dr. David A Paton is an artist, researcher, quarryman David works as an independent artist-researcher, teaches fine art part-time at Falmouth University, and he also runs an artisanal sculpting and masonry business called Buckle and Twist. He has been working with stone for 25 years, and for the past ten years exclusively with Cornish granite. As both researcher and artisanal sculptor, his practice attends to the relationships between materials, place and people. 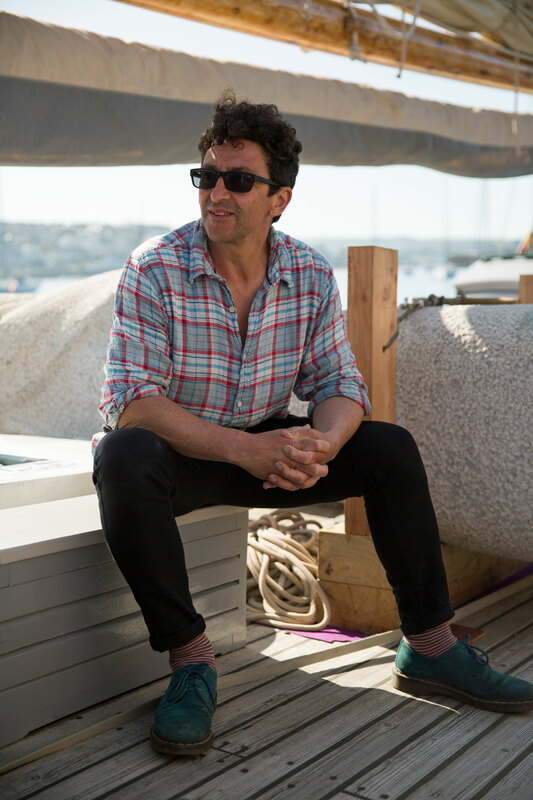 In 2015 David completed his PhD in Cultural Geography at the University of Exeter, where his research focussed on aspects of quarry work at Trenoweth Dimension Granite Quarry. He has published a number of journal articles and book chapters within the humanities and he has contributed to academic research projects including Rock/ Body (2016-17), and an AHRC funded post-doctoral position with the National Trust. In 2017 he was lead artist on Tracing Granite: In search of a white cross — a field trip-based research project as part of the contemporary arts programme for Groundwork in Cornwall. He has been awarded numerous Arts Council England grants and was recently awarded a Cultivator grant to support a scheme for training people in granite masonry and carving. Future research will attend to the notion of Crafted Geology — looking at how craft skills emerge within particular geological and industrialised conditions.